CINCINNATI, April 10, 2019 /PRNewswire/ — PatientPoint®, the trusted leader in patient engagement solutions committed to making every doctor-patient engagement better™, has named Bill Jennings as Chief Digital Officer. Jennings brings more than 20 years of digital media and video experience to PatientPoint and this new role. As Chief Digital Officer, Jennings will oversee all PatientPoint proximity marketing and programmatic video solutions. Jennings will also serve as a critical advisor with regard to PatientPoint Digital Solutions for physician offices, hospitals and local healthcare brands including search-engine marketing, online listing management and website optimization. Jennings will be based out of the company’s New York office. Jennings is well-known in the digital media industry for founding programmatic health platform PageScience, which pioneered a new way for pharmaceutical brands to leverage contextual targeting for programmatic media buying. Jennings led PageScience to become the leading source for programmatic health media contextual targeting data, scoring 120 million pages of content per week. After Accent Health acquired PageScience in 2016, Jennings served as Accent Health president of digital and programmatic to hone the company’s programmatic and geotargeted waiting room network offerings for both pharmaceutical and non-pharmaceutical brands. 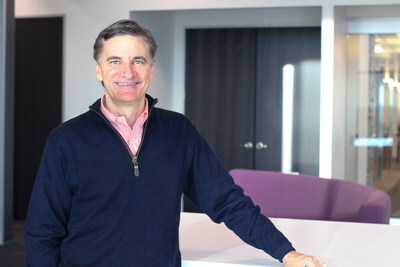 Prior to his time as Founder and CEO of PageScience, Jennings served in executive leadership positions at social media platform Vitrue (now part of Oracle), video ad network Lightningcast and A&E TV Networks.